The European Space Agency (ESA) said two ailing Galileo satellites, which were salvaged from a faulty 2014 launch and moved into improved but not fully operational orbits, are set to begin broadcasting navigation signals for industry testing. As Inside GNSS reported at the time, the two satellites, Galileo’s full operational capability (FOC) fifth and sixth space vehicles, were placed into the wrong orbits during their August 22, 2014, launch from the ESA spaceport in French Guinea. During the orbit-insertion operations, a malfunction in the Soyuz-Fregat rocket’s upper stage caused both satellites to rise to elongated orbits, instead of the planned circular middle-Earth-orbit planes. A team based at ESA’s control center in Darmstadt, Germany, performed a series of maneuvers to raise and modify the satellites’ orbits. The spacecraft lacked fuel to reach their originally planned orbits. However, the salvage operations allowed their navigation payloads to even operate, ESA said. Significantly, the corrected orbit means they will overfly the same location on the ground every 20 days. This compares with a standard Galileo repeat pattern of every 10 days, helping to synchronize their ground tracks with the rest of the constellation. Once the satellite orbits were modified, their navigation payloads could be switched on and in-orbit testing could be conducted, said Marco Falcone, Galileo Systems Office head. Their testing will take place in two phases: initially their navigation signal will be updated via the Galileo ground segment every 14 hours or so. Later on this year, the ground segment will be reconfigured to increase the update frequency, greatly enhancing their navigation precision — although they will remain outside the official Galileo constellation for the time being. Because these satellites are not placed in nominal Galileo orbits, the orbital almanacs included in Galileo’s navigation signal will leave out their orbital positions, making Galileos 5 and 6 harder for receivers to locate. However, the European GNSS Agency (GSA) website will give acquisition details. A status advisory will be sent to users that indicates the “signal component currently in test” and its navigation status “working without guarantee,” ESA said. The test signals will not disturb the performance of any GNSS receivers using Galileo signals from other satellites, according to the agency. 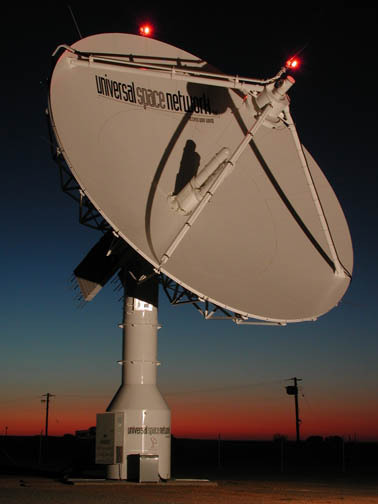 The activation allows GNSS receiver manufacturers, service providers, and researchers to use the test signals. However, the European Commission (EC) hasn’t decided whether the satellites will become part of the operational Galileo constellation. On August 2, ESA issued a “Notice Advisory to Galileo Users,” informing the user community that the satellites were now broadcasting navigation signals for testing. The notice is published on the European GNSS Center website. Because the two satellites are not in their planned Galileo orbits, the almanacs in the navigation signal will omit the orbital positions, ESA said. This may make the two satellites harder for GNSS receivers to locate, the space agency said. ESA also is using the two satellites as part of a year-long project to test Albert Einstein’s famous General Theory of Relativity. Albert Einstein predicted a century ago that time would pass more slowly close to a massive object. His theory has been verified experimentally, most significantly in 1976 when a hydrogen maser atomic clock on Gravity Probe A was launched 10,000 kilometers into space, confirming the prediction to within 140 parts in a million. Atomic clocks on navigation satellites have to take into account that they run faster in orbit than on the ground — a few tenths of a microsecond per day, which would create navigation errors of around 10 kilometers per day. “Now, for the first time since Gravity Probe A, we have the opportunity to improve the precision and confirm Einstein’s theory to a higher degree,” said senior ESA satellite navigation advisor Javier Ventura-Traveset. This new effort takes advantage of the passive hydrogen maser atomic clock aboard each Galileo, the elongated orbits creating varying time dilation, and the continuous monitoring thanks to the global network of ground stations. 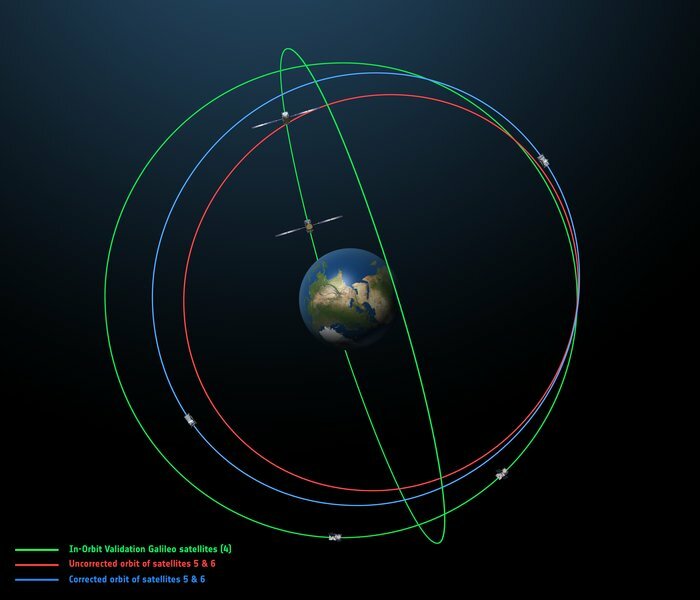 Although the satellites’ orbits have been adjusted, they remain elliptical, with each satellite rising and falling about 8,500 kilometers twice daily, ESA said. Those regular shifts in height, and concurrent gravity levels, are valuable to researchers, the space agency said.